Online security is being talked about more and more; but many people ignore using Virtual Private Networks as a tool for online security. With hackers rampaging the Internet hijacking computers and stealing personal data, online security is being talked about more and more. But in all these chatter, many people ignore using Virtual Private Networks, VPNs, as one of the means of securing their computers. There are many reasons for these, virtual private networks over the years have been given a bad name. It is justifiable in some cases. But the fact still remains that virtual private networks were created to protect people from prying eyes while online. That people became creative to utilize them for other purposes doesn’t change anything. It is almost like saying cars are bad because many armed robbers use them to facilitate their crime. Or computers are not good because of the activities of hackers. Without being too technical, virtual private networks are used to create virtual servers over public IP addresses. Using a VPN would hide your real IP address or location from anybody interested in tracking you. For instance, if you visit a website using a VPN, the webmaster of that site would see an IP address different from your real IP address. Initially, VPNs became widely used after it became apparent that network providers sell user information to Internet marketers. So people used them as a means of hiding details about themselves from ISPs. That is one of the main reasons ISPs hate VPN services. But VPN is very important for people who live in countries where accessing the Internet is against the rules. Journalists, human rights activists, and democracy campaigners use VPNs extensively in these countries to cover their tracks from security agencies. Using VPNs to evade security forces, to prevent ISPs from sharing your data and hide your IP address from hackers fall under the heading of extreme reasons to use a VPN. 1. To access websites that are blocked by your ISP or company. For instance, some ISPs frown at customers visiting torrents sites to download files. They might end up throttling your speed or even blocking your IP if they notice you on these sites. So by using a virtual private network, you become almost invisible to them. 2. You can also use VPN to access content that is restricted due to your location. For example, streaming services like Netflix restrict certain content to only the US and Canada. To access them from your location in let’s say, South Africa, a good VPN would help you out. Getting a VPN to install on your smartphone or computer is not a problem. A simple Google search would bring up dozens of them. The problem is not to be hoodwinked by the sales pitch of each VPN software. Whether you opt for free or paid software should be determined by the factors listed below. All these factors are what are used to determine if a VPN is good or not. In that respect, it is possible to opt for a paid VPN only to discover later that a free service somewhere is miles better off. Or worse, the paid service is not as good as it was advertised. So these are the factors to consider before choosing either a paid or Free VPN. Speed is one of the biggest consideration. People love freebies. A good VPN with good speed would invariably attract hordes of users especially if it is free. Here is the problem, when the servers get too crowded, it would reduce your speed considerably. And since it is free, the owners are not under any obligation to improve the bandwidth. Good paid VPNs on the other hand, are able to make provisions for many servers to accommodate as many customers as possible. With the money from subscriptions, they can afford to add more servers to meet rising demand. So chances are, you would always get good speed with paid VPNs. This is at the heart of what makes one VPN secure while the other is not. However, we are talking levels of security here. If you just want to hide your IP address from your ISP, a free VPN might do just fine. The point-to-point tunneling (P2P) protocol on offer is good enough. However, if you need serious security that goes beyond just hiding your IP, paid services with their different connection protocols is the way to go. You would be able to make use of protocols like IKEv2, IPSec, and L2TP to mention some of the popular ones. Basically, you can customize the level of security you desire with each protocol. Free VPNs need money from somewhere to be able to keep the service afloat. How do they make that money? Mostly it is from the private details you supplied while signing up. These details can be used to send targeted ads to you. Sending targeted ads implies your private details would be sold to some firm interested in advertising their product to you. Paid VPNs on the other hand, would never sell your details to a third party. At least, you would never get ads while using the service. But it is plausible the unethical ones would still use your details in one way or the other though. Because it cost money to provide customer support to subscribers, free VPNs would hardly extend that service to their users. Users have to accept what they get. And if the services are bad, their choices are limited to waiting until it gets better or simply uninstalling it when they are fed up. Any good paid VPN comes with round the clock customer care. At least, you should get that for the money you are paying. So with paid VPNs, you can complain and even demand your money back if the service is below expectation. 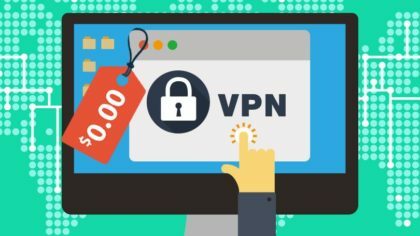 Though this had turned out to be like an pitch for paid VPN services, it is noteworthy that there are several good free services and you should also bear in mind you might waste money on a paid VPN. If you decide on the paid option, make sure to do a free trial first. Most VPNs have that option so their customers would know exactly what they are getting before paying.